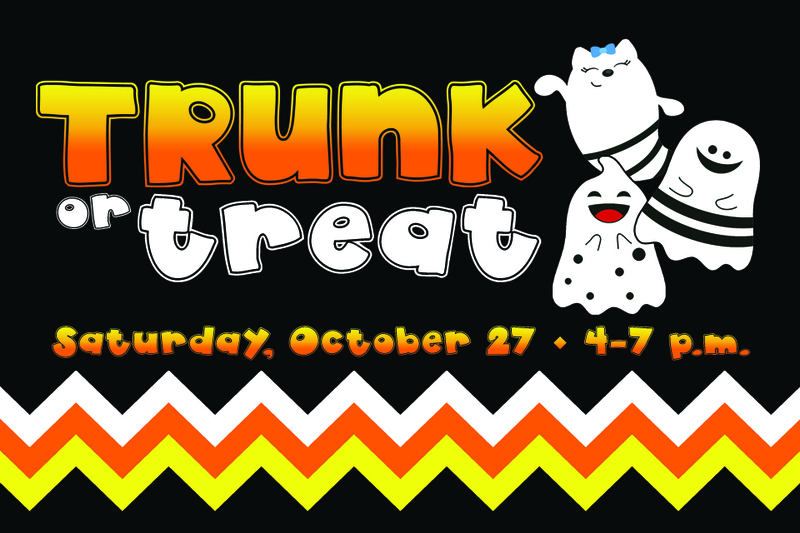 Mark your calendars and get your costumes ready for fun and fellowship at our first annual Trunk-or-Treat on Saturday October 27 from 4-7 p.m.! Trunk-or-Treat will bring Halloween to our parking lot where kids of all ages can visit festively decorated trunks to get treats. We will also have dinner and carnival games to make this a fun night of fellowship and community. To make this a success, we need your help! We are looking for donations of candy and small (non-candy) treats/prizes as well as volunteers to provide and host decorated trunks and run our carnival games. Blue bins will be set up in the lobby for treat donations. To sign up to volunteer or host a trunk, please sign up online or email Emily Hollett at emily.hollett@gmail.com for more information. Adult dinner tickets are $10 and kids are $5. Single game tickets are $1 each and this year we are offering an unlimited game wristband for $15. To pre-order dinner and game tickets, click here.